I love that this top can be worn so many different ways. It’s so easy to dress up or down. These boots, which are on sale, are perfect to transition from winter to spring. It’s always so hard to know what kind of shoes to wear this time of year. I hope you all had a great weekend. We went out for dinner at a malt shop on Saturday night. We had an absolute blast! I wish the weekend wasn’t over. you look so fresh and rested, love the shiny red nails. I am ALL about comfort! you look fab! I love loose fitting tops! 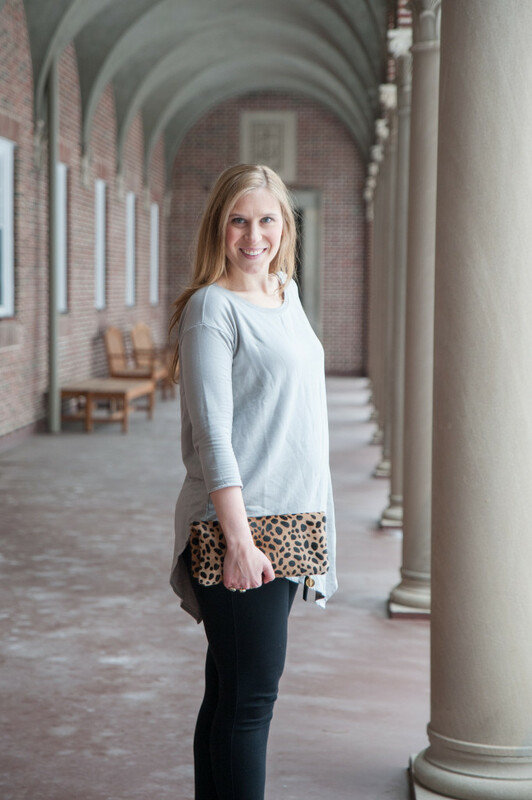 It’s really all I wear…I love the leopard clutch too! Loose fitting tops are life savers sometimes! And you dressed yours up just perfectly! 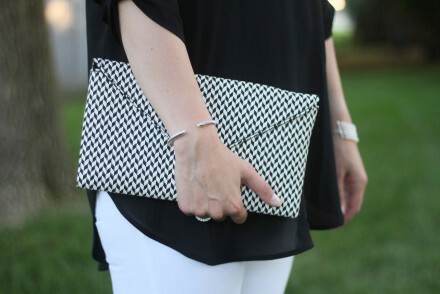 Love this clutch so much! So pretty, I love the soft grey color. 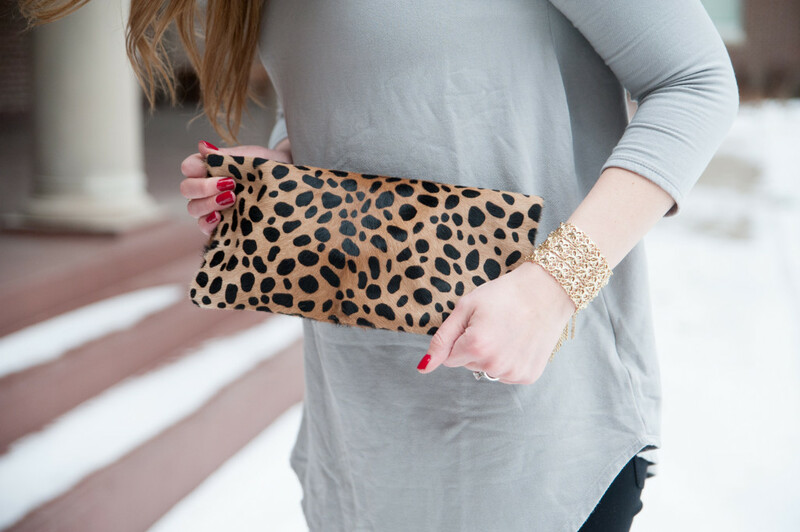 That leopard clutch is beautiful! Great outfit , nice colors, I love your bracelet and your boots. You look so beautiful, thanks for sharing. Amazing!!! 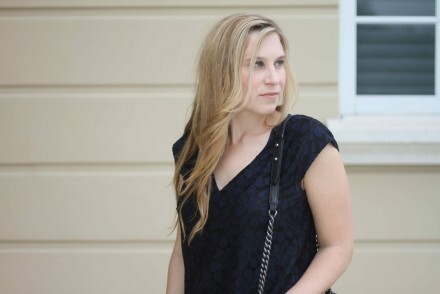 I love a good loose-fitting top and this one is such a beautiful color! and I love your booties! 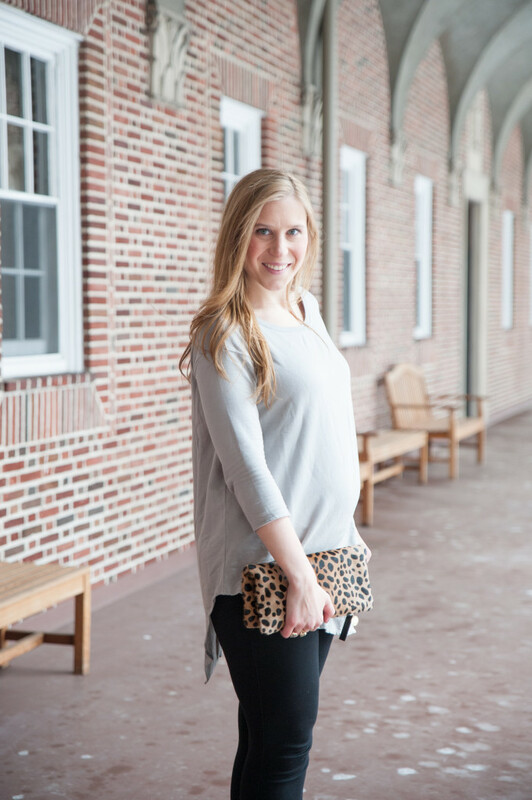 I love a top that is so versatile and that is my favorite clutch! You look great! Such a great casual look. Love those booties! Too cute! Loose fitting tops are the best and so in love with your booties! This top is SERIOUSLY cute! Love those top and those booties is a killer. And my oh my, those clutch is to die for. Love it. 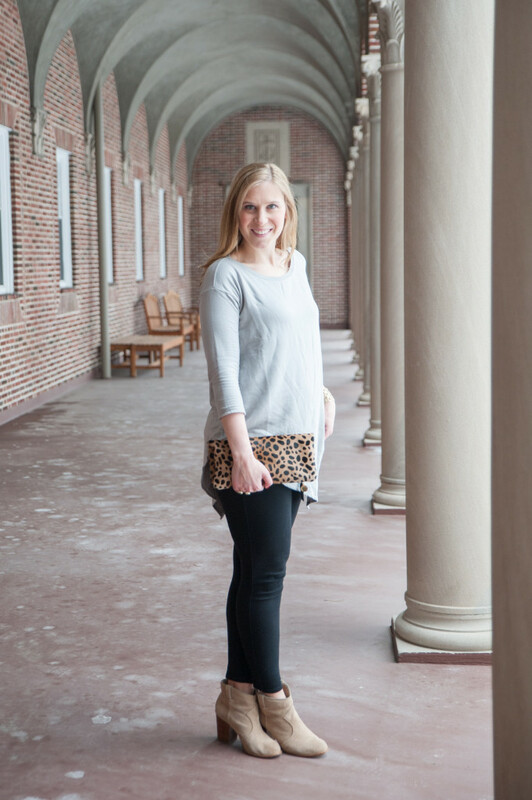 I love the leopard clutch! So chic! Amazing post! 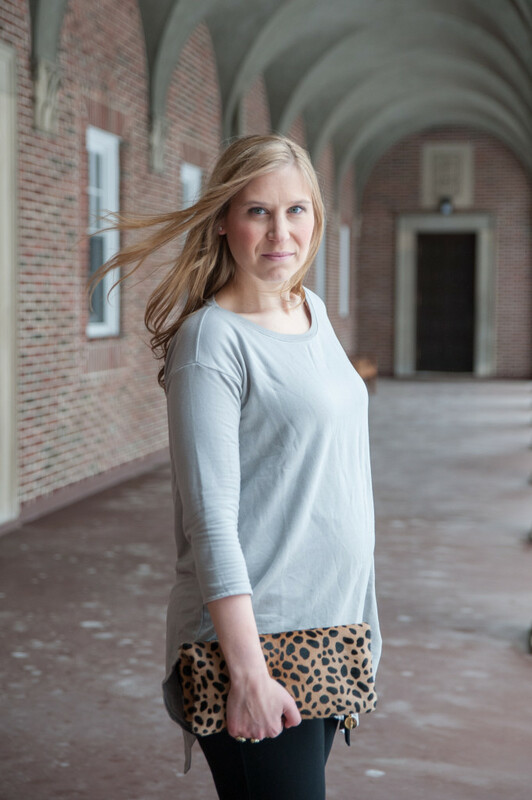 You can never go wrong with a pop of leopard!! 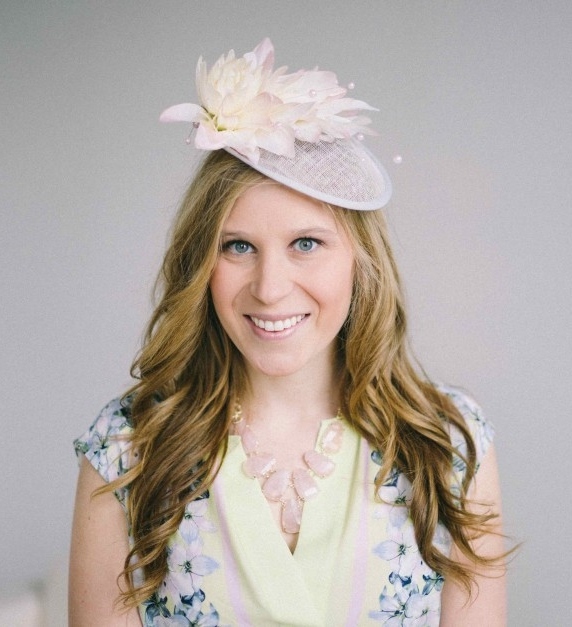 I just want to say I am new to blogs and absolutely savored you’re web page. More than likely I’m planning to bookmark your website . You amazingly come with great articles. Bless you for revealing your website page. Great post. I was checking continuously this blog and I’m impressed! Very useful info specially the last part 🙂 I care for such information a lot. I was looking for this particular information for a very long time. Thank you and best of luck.